Christmas is in the air and it will be here before we know it! I'm feeling very festive this year so to mark the occasion I've decided to run something a little special for all guys! 12 Days of Christmas Competition - Day 1. For the first day in our 12 Days of Christmas Competitions I've teamed up with Teeny Beanies to give away a £50 voucher to spend on their website! In case you aren't familiar with the brand Teeny Beanies are a family run business who create the most gorgeous handmade and personalised items. They have a wide range of products on offer, from bean bags through to t shirts and bunting. 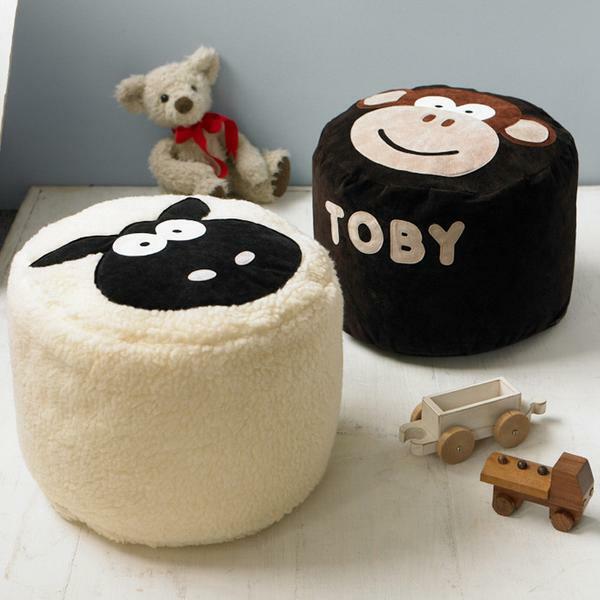 We were lucky enough to review one of their personalised sheep beanbags a few years ago and it's still very much loved and is proudly displayed in Noah's room. 1. There will be 1 winner who will win a £50 voucher code to spend on the website. 2. Prize to be sent directly from Teeny Beanies. I would order a Bernie Bunny beanbag for my Jessica! A bean bag for the boys room! I would go for the medium Edmund Elephant beanbag for "Mia"
My best friend is a hobby farmer for sheep so I would love to get her the large sized sheep bean bag with her name, Kayla, on it. She would be so surprised and over the moon! A beanbad personalised with TROUBLE !!! I would love a Florence Fairy bean bag with my daughters name on it. the elephant design with either my sons name or my nieces name. Love those beanbags....Definitely the monkey one for my grandson Daniel. I'd get some Tooth Fairy bags & personalise them with my kids' names, Aidan & Isabella. I'd offer the voucher and choice to my nephew for his two little boys. I'd chose a monkey bean bag with India as the name! I would choose a beanbag with my sons name of it, thanks. The woolly sheep hottie so cute! A Bernie Bunny beanbag for Malachi. I like the bean bags and would have Jacob put on it. I'd get a beanbag with the name Luke on it. I'd get a bean bag with Luke on it for my little one. I would likely get a Character Bean Bag with Oscar on it for my nephew. A sheep beanbag with the name Fraser. Could do with a big beanbag. A bean bag and personalise it with my daughters' name Phoenix. I'd get a lovely gift for my nephew Sebastian! I would pick the Personalised Bunting and the Bunny Pre- School/Nursery Bag for my niece. I would choose the monkey one and with my daughter Aliylah's name on it as she was born this year, the year of the monkey. :) Great prize!! Bunting and tooth fairy bag for Danielle. I would want the monkey bean bag and put my sons name on it which is Matthew. Baby bean bag is best for kid to sleep, It is smooth and best in shape and size for baby, I have also one for my baby, I always use it to sleep my baby. Buy the Bets quality Baby Bean Bags for baby at affordable price. A sheep bean bag for Toby. The beanbag for my nephew Joshii - love it! I'd like the Claude Cat Hottie, I don't know which name if any, though. I'd have my daughter's name (Imogen) but on a footstool. I would get a sheep beanbag for my granddaughter Ivy.